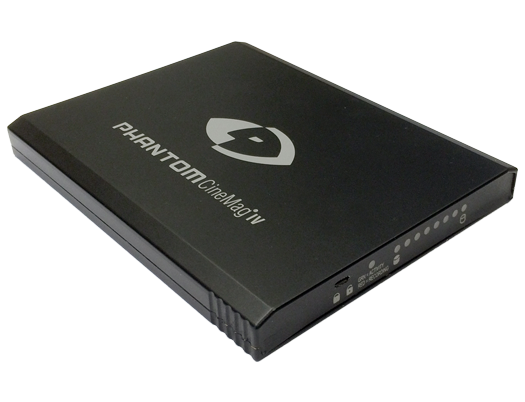 The Phantom v2512 is the maximum speed available with 25 Gpx of throughput. 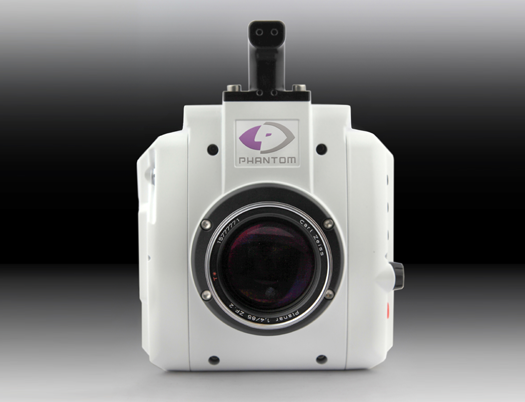 Our highly sensitive, proprietary CMOS sensor combines with easy data management to produce clear images when speed is critical. 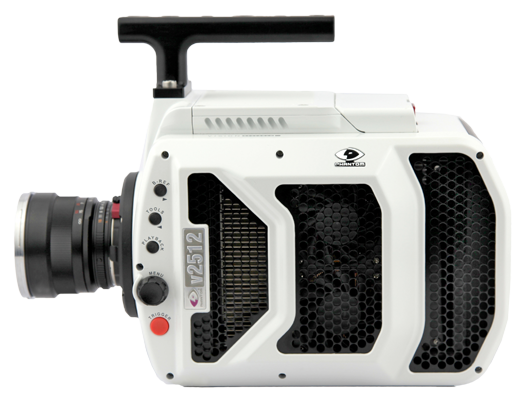 The Phantom v2512 produces over 25,700 fps via a 25 Gpx per second throughput. 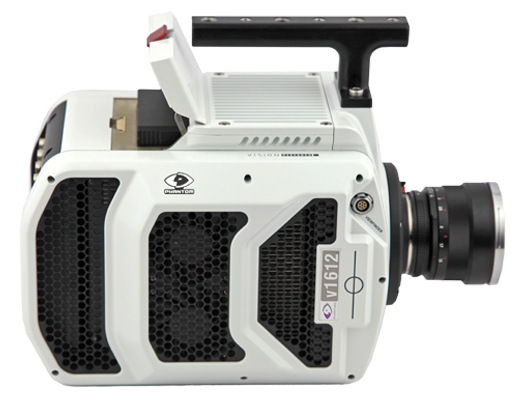 The v2512 is capable of up to 1 million fps at 256 x 32 and 265ns minimum resolution with the FAST* option. 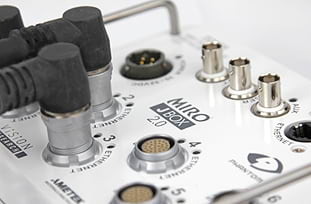 The proprietary sensor has 28 micron pixel size to enhance sensitivity and 12-bit depth. 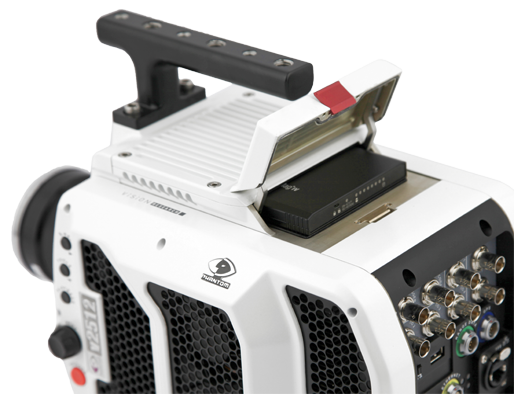 Multiple connections, advanced features, and compatibility with both the CineMage IV and CineMag V data systems increase the flexibility of the v2512. The internal RAM can be partitioned up to 63 times allowing for continuous recording and download efficiency. 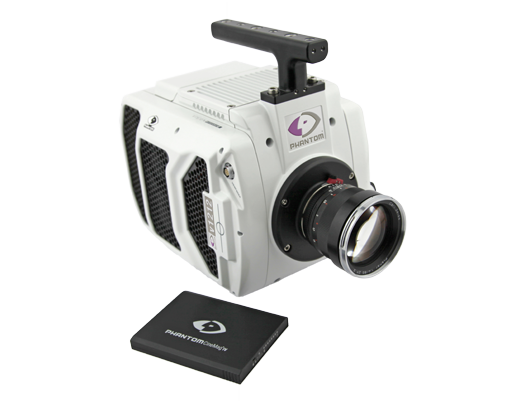 The fastest one megapixel digital high-speed camera on the market, the v2512 is capable of taking over 25,000 frames-per-second (fps) at full 1280 x 800 resolution. 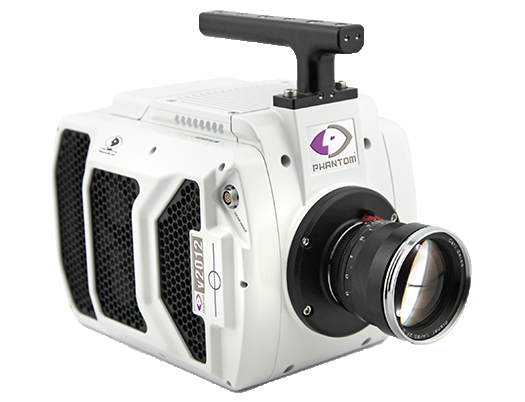 And, with the FAST option, up to 1,000,000 fps at reduced resolution. 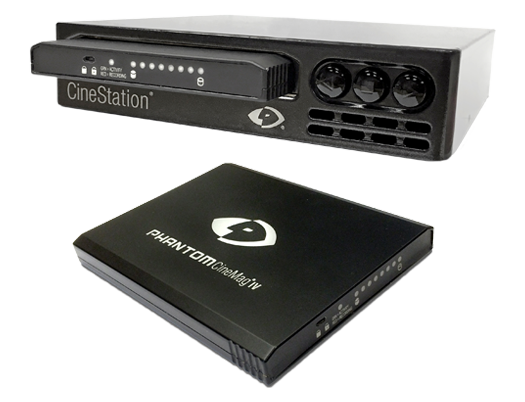 Download station for CineMag IV and CineMag V recording media. Includes Gb and 10Gb Ethernet network support standard. 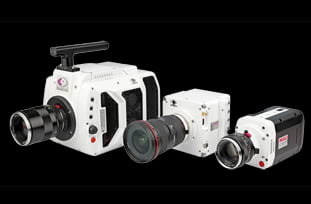 Canon EOS Lens Mount for Phantom UHS (VXXXX), V-Series and Flex2K Cameras. Provides electronic aperture and focus control. 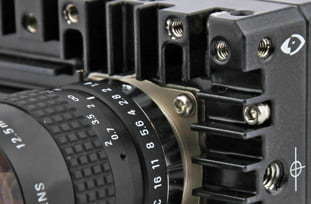 C Lens Mount for Phantom UHS (VXXXX), V-Series and Flex2K Cameras. What is the difference between the UHS-12 Series (v2512, v2012, v1612 and v1212) and the previous UHS-11 Series (v2511, v2011, v1611 and v1211)? 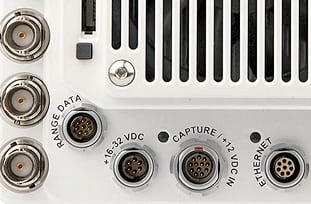 The UHS-12 Series are similar to the UHS-11 Series, except for two differences. The first difference is the increase in memory. The UHS-12 Series can be equipped with either 72GB, 144GB, or 288GB of RAM. The second difference is that the UHS-12 Series take advantage of the CineMag IV and V, which are available with over 2TB of non-volatile memory. These enhancements are designed to make capturing, accessing, and managing your critical data much easier. 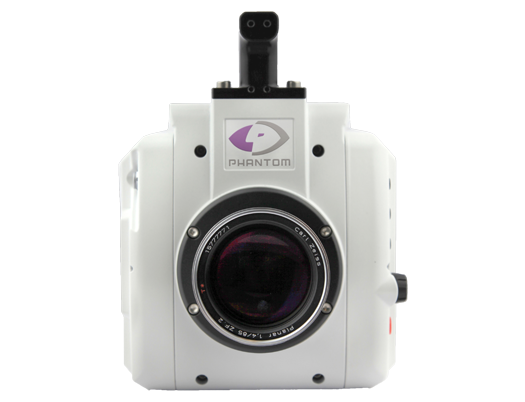 The UHS-12 Cameras have the same excellent sensitivity and frame rates as the UHS-11 cameras, with the same Phantom Features and outstanding image quality you’ve come to expect from Phantom digital high-speed cameras. Can you describe the cooling system for the Phantom v2512, v2012, v1612 and v1212? To minimize noise and maximize image quality on any digital high-speed camera, it is important to control the sensor temperature. By keeping the sensor at a fixed temperature, you will get better, more repeatable images. For many years, Vision Research has used thermo-electric (TE) coolers based on the Peltier effect to control sensor temperature. The sensor die is attached to the TE cooler and by monitoring the temperature of the sensor, the camera can supply more or less power to the TE cooler to adjust the temperature. The TE cooler is typically bonded to a heat sink cooled by an active fan-based cooling system. 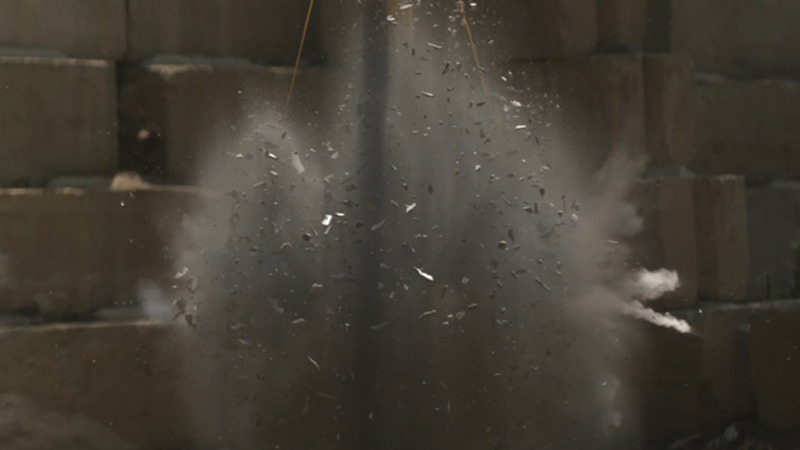 This technology is used on the v2512, v2012, v1612 and v1212. However, these cameras run so fast, that additional cooling technology is employed. On these cameras the sensor die is attached to the TE cooler, which in turn is bonded to a copper heat sink which has heat pipes attached. The heat pipes carry excess heat away from the sensor area toward the sides of the camera where heat is removed using dual fans. The heat pipe is a copper tube that is filled with a liquid under low pressure. One end of the heat pipe is bonded to the source of heat, in this case the copper heat sink. The other side is bonded to a heat sink which is fan cooled. Liquid in the heat pipe moves toward the source of heat through capillary action. When it gets to the hot side of the pipe, it will turn to vapor and circulate back to the cool side where it gives up heat and turns back into liquid. The process then repeats. The v2512, v2012, v1612 and v1212 all have a 10Gb Ethernet interface. Tell me more about it and how to use it. 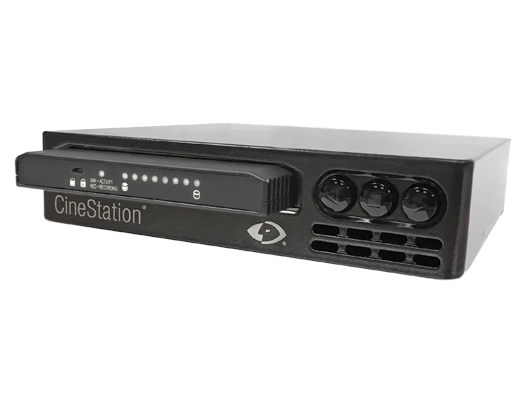 Yes, a copper UTP 10Gbase-T Ethernet interface is standard on all UHS cameras and the CineStation IV. When optimized, this allows for cine downloads at speeds more than 5X faster than the standard Gb Ethernet interface. While any compatible 10GBASE-T interface card installed in a PC should work, we have been using and recommending the Intel X540-T1 and X540-T2 cards. Be sure the latest Intel drivers are installed, and the appropriate network address is assigned to it (For example, IP 172.16.0.1 and Subnet 255.255.0.0) Also, ensure either the Phantom 10G Network driver is installed. 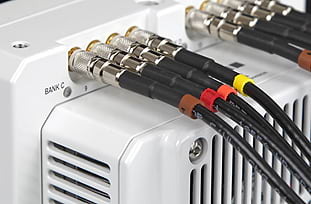 Vision Research provides a ruggedized connector carrier to be used when connecting a standard CAT6 or CAT6A Ethernet cable between the camera and the interface card. The customer must supply the appropriate cable. Can I use a viewfinder with the v2512, v2012, v1612 and v1212? Yes. In fact, there is a viewfinder port on the camera that will supply video and power to a viewfinder or monitor. All UHS-12 digital cameras come with a 280W power supply, providing ample power for a camera with maximum 288GB memory, a 2TB CineMag, and the viewfinder. 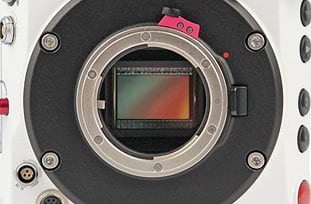 Do the v2512, v2012, v1612 and v1212 support the use of Canon EOS lenses with software control over aperture and focus? Yes. You need to order the optional Canon EOS lens mount and use it with one of the tested and supported lenses (see FAQ). 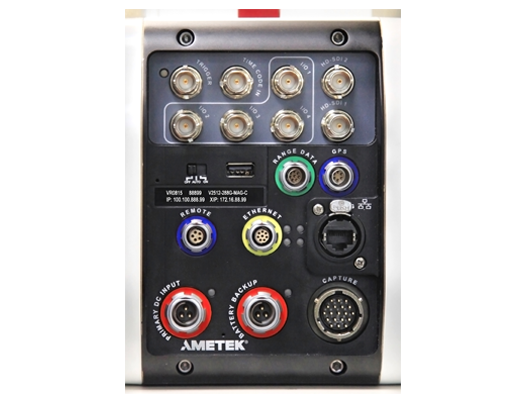 The part number is: VRI-MNT-EOS-VSERIES. Is it true that a camera that runs this fast must be powered by either dilithium or silithium crystals? No. We've been able to achieve these rates of speed without the use of such technology. 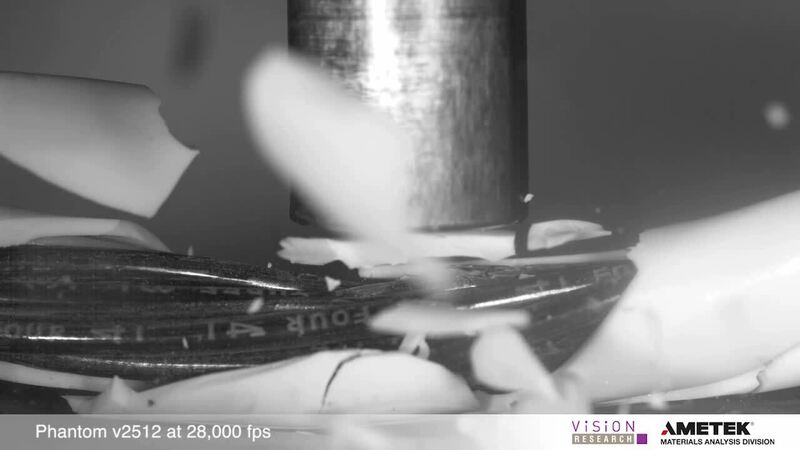 This video demonstrates the speed of the v2512 and the resolution power of the v2640. 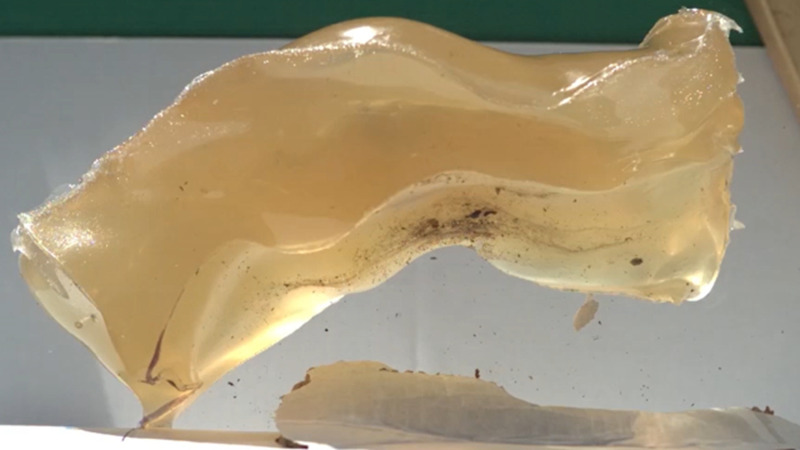 A Phantom v2511 color high-speed camera captures the impact results in forensic gel.